A lightweight showdown between former champion Anthony Pettis and Michael Chiesa is currently in the works for UFC 223 in Brooklyn, N.Y. on April 7. Sources close to the contest confirmed the news on Tuesday following an initial report from ESPN. 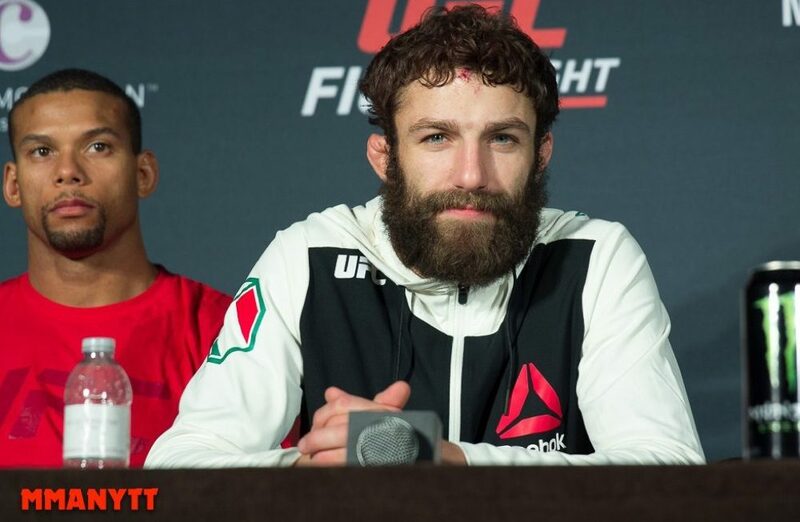 Chiesa returns to action for the first time since last June when he lost a main event bout against Kevin Lee in somewhat controversial fashion after referee Mario Yamasaki stopped the fight due to submission despite the former “Ultimate Fighter” winner protesting that he was never unconscious from the rear naked choke. Regardless, Chiesa ended up on the losing end of that matchup, which stopped his three fight win streak. Now Chiesa is expected to return to face Pettis, who looks to get back on track following a TKO loss to Dustin Poirier in his last fight, which put his record at 2-5 over his last 7 trips to the Octagon. Chiesa vs. Pettis is the latest addition to a crowing UFC 223 card that will be headlined by interim lightweight champion Tony Ferguson taking on Khabib Nurmagomedov while strawweight champion Rose Namajunas faces Joanna Jedrzejczyk in the co-main event from Brooklyn.